The foundation stone of St. Paul's was laid on 12 November 1888. The first service was held on Monday, 29 July 1889, although the church was not officially licensed for worship until 16 November 1889 - and almost twenty years passed before it was consecrated, on 3 January 1909. 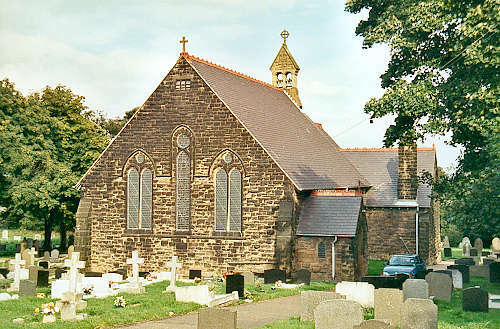 The new parish of Broughton was created on 15 February 1909, from part of the township of Broughton, which had been in the parish of Brymbo since 1844. On 7 May 1921, a small part of the south of the parish went to the new parish of Southsea. For family history information about the churches and parish, visit the GENUKI Broughton page.